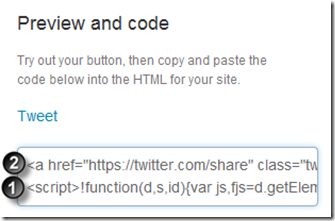 I’ve been asked several times how I added the Tweet Button below to all of my FunnelWeb post. Here is a quick blog post detailing how I did it. 1) Head over to Twiter.com and select the button that you want. 2) You will notice that it generates the following JS/HTML for you. Please note the line numbers listed above. 3) Copy #1 into your HTML Head section on your FunnelWeb Blog site. 5) Upload the Page.cshtml to your web server and your ready to go! Easy enough right? 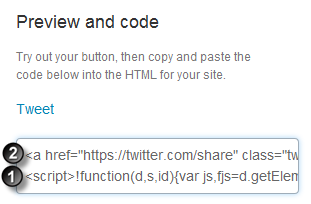 You can of course append any HTML to your Page this way. Google Plus Linked In Share buttons anyone?